Solving search relevancy the democratic way? 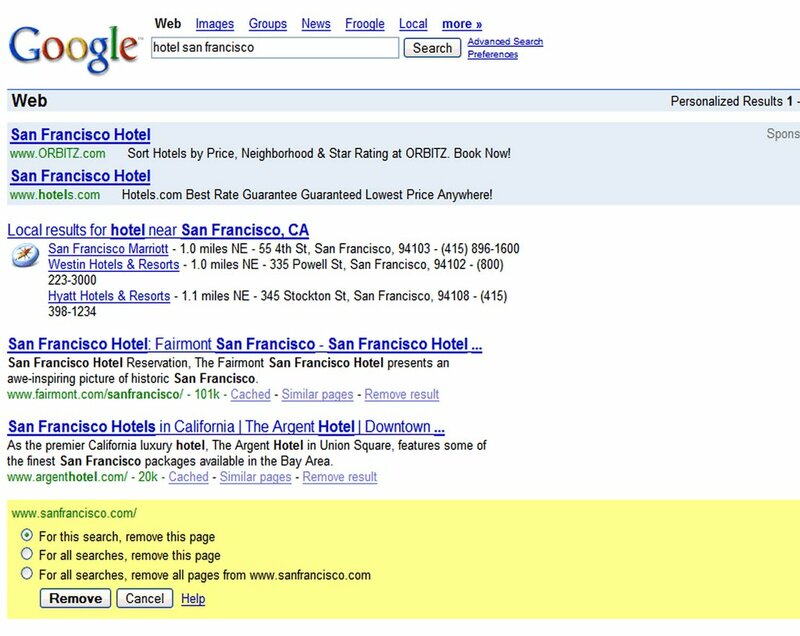 By David Rodnitzky on 03/11/2006 in "Analytics Blogs"
We all have noticed Google’s personalized search feature which, like any Google feature/product, will be in beta for years to come (mostly to justify poor performance). At first glance it may appear a useful functionality, intended to make navigating an ever-increasing amount of indexed pages easier. However, similarities with PageRank’s notion and purpose exist: it is a vote. The search results are cleaned of spam sites. Given enough out-votes, a domain may be pushed down in the results for any search term or may even be thrown out of the index altogether. 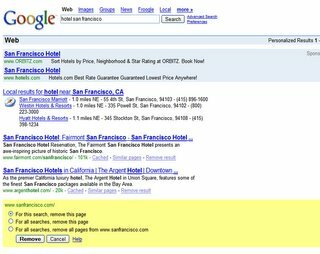 Search results improve, because Google will be able to fine tune the semantic meaning of a search term. Ultimately the personalized search feature’s impact depends on whether users will actually use it. This might be a problem if a user’s searches are vastly distributed across a large number of topics – if I search once for a hardware store that sells fuses I may not care to help make the search results cleaner. However, if I am a frequent traveler and my searches are often clustered around travel I might have a much higher incentive to participate in the voting system. But once a user is a “clustered searcher” he is also experienced, i.e. his searches are refined enough to get good results in the first place! Obviously, if users would start to randomly exclude sites from SERPs regardless of the relevancy, personalized search would be useless for improving broader search relevancy. More importantly, this behavior could actually result in lower quality of search results. Webmasters found a way to get around the PageRank idea by exchanging or selling links; personalized search leaves room for similar loopholes: imagine collective out-votes for particular sites sparked by coordination similar to Google-bombing. Or imagine a trading site where users get paid to exclude sites from their SERPs.